What Is Cove Base Tile Used For? Cove base tile is one of those terms used by industry pros and those in the know (which will soon include you) for a special type of curved tile that's particularly handy for bathroom showers (or any place that sees a lot of water). Cove base tiles are usually used at the base of tiled walls in lieu of tile baseboards, to create a seamless and watertight transition between the wall and the floor. And that's their primary purpose: cove base tiles cover the joint at which two surfaces meet in a way that keeps moisture out. So, what's the short answer to our query? Cove base tile is used for convenience: The convenience of not having to deal with filling gaps between a baseboard and a non-tile floor, and not having to deal with creating an expansion joint between a wall and a tiled floor. When you're shopping for building materials, some details really matter, and this is one of them. Cove base tiles feature a flared edge that combines function and form for a smooth transition between surfaces. Wherever there are tiled walls in particular, look for cove bases: along the bottom of the shower and the top of the bathtub's rim, on kitchen backsplashes and in swimming pool trim. The purpose of cove tiles is to guide any liquids that are splashed on them away from that tricky little crevice that's created when two planes form a 90 degree angle. The curved tile sees water safely over the crack, allowing it to flow into your pool, onto the surface of your countertop (where you can easily wipe it away), or onto the floor of your shower or bathtub floor and right on down the drain. 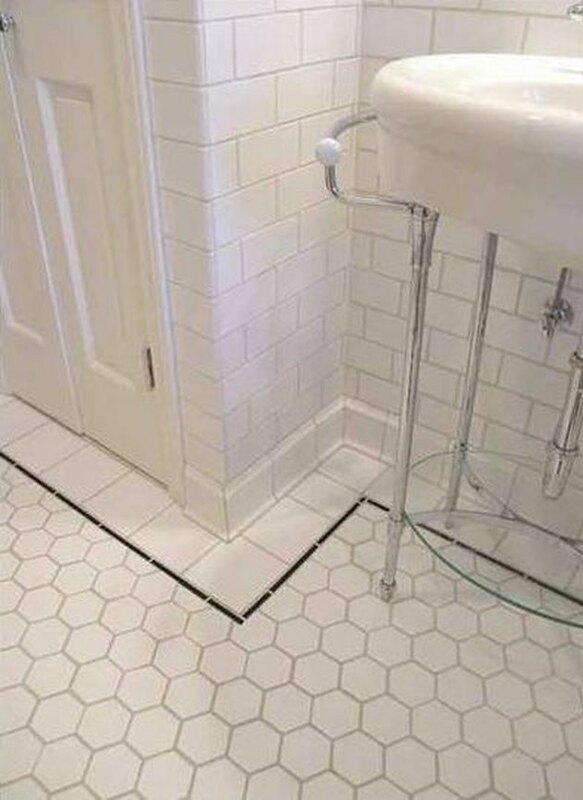 The curvatures of the tile (the 'cove' in 'cove base') let you keep the water where you want it (namely, not trapped between your walls and your floors) without busting out the caulk gun. 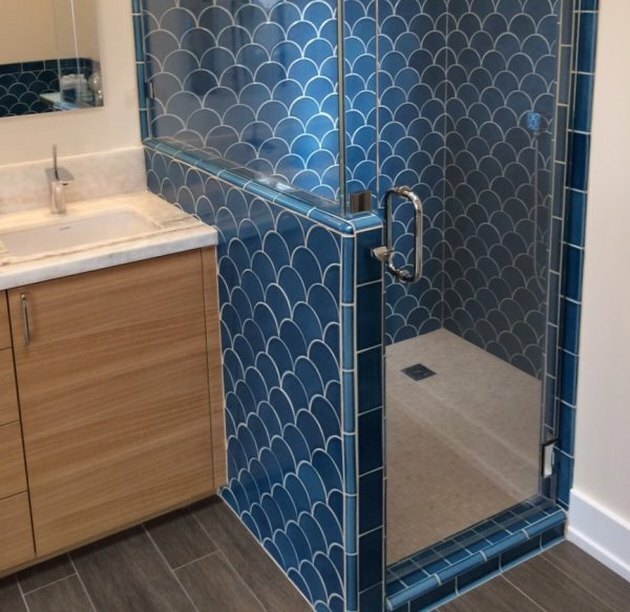 While you'll definitely find that cove base tile is most commonly used for trimming tile showers and tile walls, it can also be used as baseboard trim on non-tile walls. 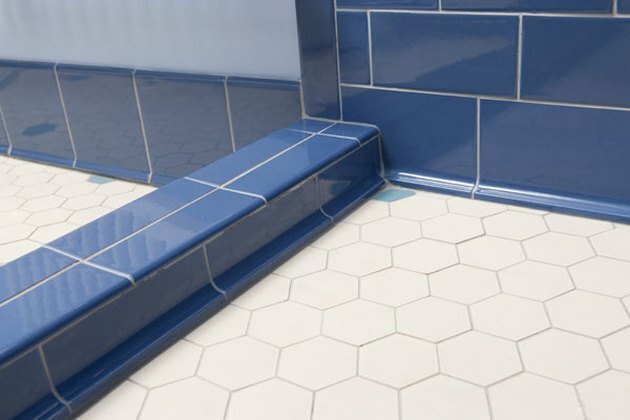 There are actually two types of cove base tile, one specifically designed to work with tile surfaces and the other specifically designed for non-tile surfaces; however, both have that special "flare" that ensures the joint between the wall and floor is protected while it wicks away water. "Stack-on" cove base tiles are used for tile-to-tile transitions, and have a flattened upper edge on top of which wall tiles are smoothly stacked. "Sanitary" cove base tiles are made for (cove base) tile-to-non-tile transitions, and have the rounded upper edge of a bullnose tile so that they can be flush-mounted against a non-tile wall. The simple phenomenon of cove base tile — the elimination of the crevice created by a wall meeting the floor at a 90 degree angle — makes cleaning easier (and less frequently required) by mitigating the buildup of soap scum and the formation of mold. Without cove base tile, the quickest workaround to staving off mold and mildew is to use caulking, but it's a less than perfect solution as caulk can still become mildew stained. Caulk is also a relatively soft material that may wear with cleaning, eventually degrading or separating from the wall, which means it can require periodic removal and reapplication. Grout, on the other hand, is more durable, available in multiple colors, and can stand up to the type of thorough cleaning needed to keep grime from growing into mold. There are different types of grout to choose from, but if you're working in a room that's known to retain moisture or isn't well ventilated, pick one that's mold-resistant.